The world promises you comfort, but you weren’t made for comfort. You were made for greatness. Last week, a marketer on Twitter assumed I had daughters. Granted, it was a doll company, so it wasn’t the world’s most unreasonable assumption. Still, though, it felt rather uncomfortable. I politely tweeted back that I won’t be blessed with daughters as I have permanent infertility, but I have always loved dolls. The next day, they tweeted back “I have a sister who is adopted. And you can be a mother to people through…” Fill in the blank with the same spiritual motherhood things you hear all the time as an infertile. Now, I don’t bear these people any ill will, but I’m bringing it up here to say why is it that when people hear “infertility”, the first thing that pops into their head is that I’m interested in adoption? Sure, plenty of people with infertility decide to adopt… but the two do not go hand in hand. Still, there is a lot of pressure on infertile couples to “just adopt” (as if it’s that simple). Why? Maybe it’s because people are Pollyannas, always looking for an up side. Or maybe it’s because our society likes to have quick fixes, and sweep any pain or suffering out of sight as quickly as possible. Maybe it’s a deeply ingrained assumption that marriage must always include children, at any cost, no matter what, or it’s not real. At least not as real as those marriages with children. The truth is that God has a plan for each of us. And each one is unique. When Christ calls you out on the water, what can you do? It’s wet and it’s cold and it’s scary, and everyone else thinks you’re nuts and tries to convince you to stay in the boat. But once your eyes are caught by his penetrating gaze, how can you do anything but move towards him, no matter what it takes? Giving up our adoption feels like that–like stepping out of the boat when everyone is telling you that you need to stay put. And though part of me wants to cling to that security, I know deep inside that I have to step out onto the water. Have you ever had a moment when you knew God was asking you to make a choice that no one else was going to understand? This is my article that was published in the Catholic Standard a few months ago. I found it online today and thought you all would like to read it. There is a couple sitting in the pew on Sunday. You know they have been married at least one, two, three years now. No children yet. If you’ve spotted me, or any of the thousands of local Catholics dealing with infertility, our childlessness is not by choice. 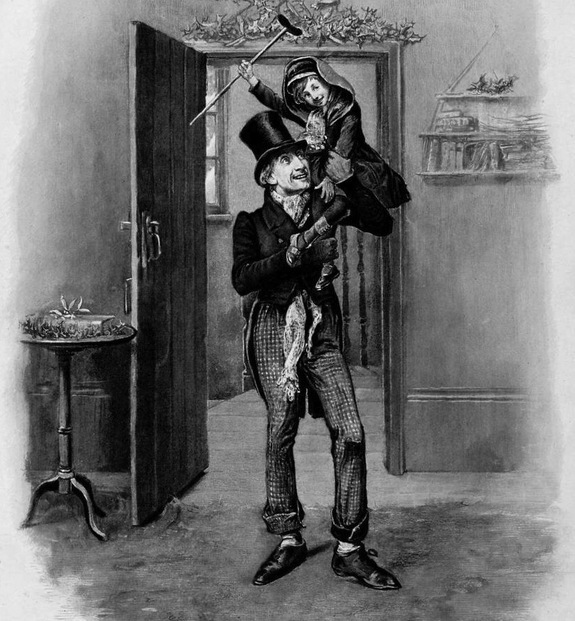 The desire for children is deeply rooted in our human nature. We see this in the excitement and hope of those trying to conceive. We see it most profoundly in the pain experienced by those for whom this desire is unfulfilled. According to a recent study, one in six couples struggle with some form of infertility. Infertility is defined as the inability to conceive after a year of trying, or the inability to carry a pregnancy to term. Infertility can be primary (no living children) or secondary (unable to conceive or carry an additional child). Affecting men and women in equal numbers, infertility is a true medical condition and not the result of stress, “not doing it right” or “not relaxing.” Worse still, it is a real emotional and spiritual trauma that can potentially wreak havoc on a husband and wife. The inability to achieve something so natural, so expected, so inherent to the dignity of marriage, cuts at the heart of our sense of self. Broken dreams serve as a painful reminder that children are indeed a gift; they cannot be created on demand. They cannot be earned. We are not the Author of Life, God is. Emotionally, there is no way to “get over” infertility. It is a continual loss, day in and day out. Even years after acceptance, something unexpected can trigger uncontrollable tears. Baptisms, Mass readings mentioning pregnancy, pregnancy announcements and receiving a shower invitation are all situations that can re-open the wound. Holidays are hard. Mother’s Day and Father’s Day Masses bring a unique degree of torture. Why should all these happy events cause such grief? Simply this: the wound is too deep. The weight is too much to bear. Part of this cross, unique to Catholics, is choosing to put God above our own desires. With some forms of infertility, the only way to fulfill the good, natural, and burning desire for a biological child is through illicit treatments. Laying down our God-given desires and freely choosing to forgo these technologies (sometimes out of pure obedience) is a tremendous sacrifice. Many friends and family cannot understand why we choose this. Instead of supporting our faith, they act as though we are bringing pain upon ourselves, and plead with us to try IVF. What keeps us going? We trust that in his wisdom, God does not give us these rules to make us miserable, but because he knows what is ultimately going to make us happy. Learning to live in an infertile reality is like climbing a mountain barefoot in a blizzard. First things first, hold tight to your spouse and to God. No matter what is causing infertility, the important thing to remember is that this suffering, this pain, was not given to you by God. Suffering is a reality of our fallen world, as unavoidable as earthquakes and hurricanes. As much as we cry over infertility, God cries more. He loves life; he loves babies! He cries for those who are unable to conceive or who lose a child. The beauty of our faith is that we believe that our suffering itself is fruitful. We have hope that God can and will use our suffering to create something glorious. “Behold, I make all things new” (Revelation 21:5). When God calls us to marriage, he calls us to love and honor our spouse all the days of our lives. He calls us to be open to whatever life he has planned. Our vocation to marriage is as real and as serious as any other vocation. A family of two is no less a family. We are a visible sign of God’s love. If you or someone you know is struggling with infertility, we would like to invite you to the upcoming Archdiocesan Morning of Hope and Healing, to be held on Saturday, April 25 at 10:00, at the Saint John Paul II Shrine in Washington, DC. Planned with all types of infertility in mind, we welcome all those who carry this cross, along with their friends, families and supporters. There will be simultaneous translation into Spanish for our Hispanic faithful. For more information, please visit http://www.adw.org/event/mass-hope-healing/ or email or call Mary Hamm in the Office of Family Life at hammm@adw.org; or 301 853-4499. You know that dream, the one where you’re screaming for help but no sound escapes your lips? It’s terrifying. You desperately need help, but no one sees your plight. You are invisible. Many of us feel this way in our suffering, especially if that suffering is infertility, singleness, or difficult marriages. We have a hard time finding spiritual support, and we feel completely alone in our journeys. We feel like we are forgotten by our fellow Catholics. Why? The Church is made of humans, and humans fall into judgement. Humans beings make assumptions like, “The more children you have, the better Catholic you are,” and “Anyone without a happy marriage and several children must be in a state of sin.”Amidst these assumptions, those who suddenly find themselves single or without children tend to shrink back and hide. They’re ashamed and embarrassed, though they did nothing wrong. And you know what happens when good people are ashamed for no reason? They keep their mouths shut. They’re afraid to be outed as a misfit. They accept their invisibility, and the shroud of secrecy is allowed to grow. When the secrecy grows, the judgmental stay ignorant, and the stereotypes continue. This is not what God wants. I’m here today to tell you, all of you who are invisible, to have hope. Rejoice in your invisibility. Yes, it is awful to be one of the misfits, the different, the hidden people on the margin. But we have a God who sees what is hidden. 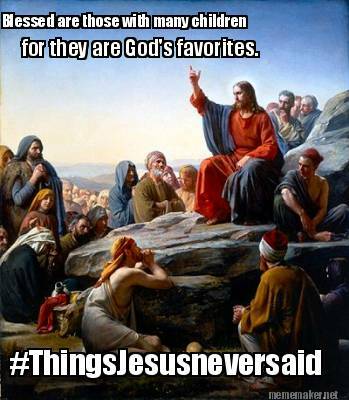 Ours is a God of the marginalized. Jesus spent much of his earthly ministry saying over and over again that those who are smallest are the most precious to him. He lifted up the powerless: women, children, and backwater fishermen. He ministered to the lepers, the sinners, and the poor. His message wasn’t for those with perfect lives. It was for you. “Blessed are the poor in spirit, for theirs is the kingdom of God.” You are suffering, you have a problem, you are powerless, you need God. Therefore you are blessed, because he has promised you his kingdom. “Blessed are they who mourn, for they will be comforted.” I’m sure you’ve done your share or mourning. You will find comfort, even if it’s not in the way that you would expect. Each of us is called to something different. God wants us to live our lives for him, whatever that entails. If your life doesn’t fit the mold, live it anyway. He loves you just as much. In fact, he has a soft spot for you. We made it! I made it! 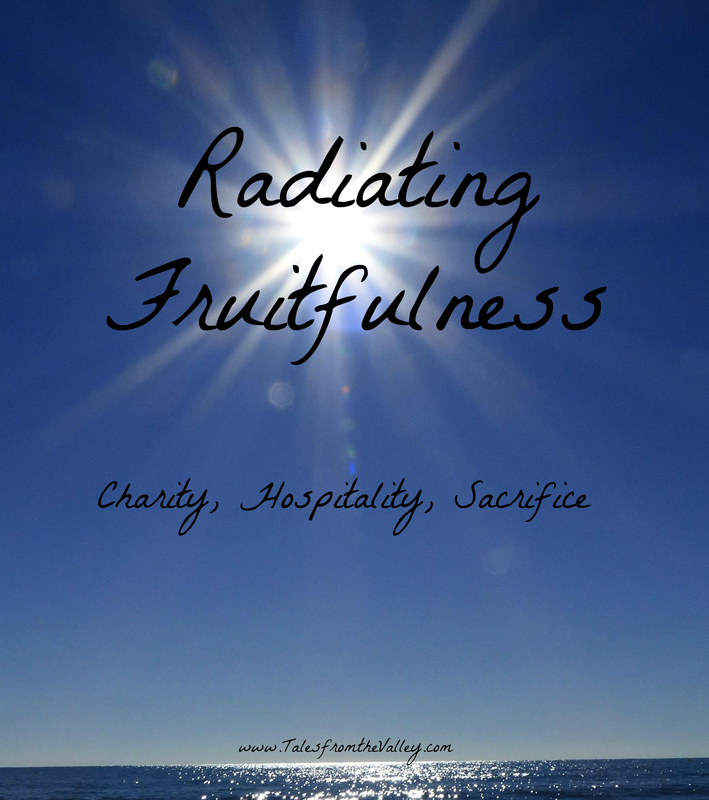 Welcome to the third and final installment of my first series, “Radiating Fruitfulness: Charity, Hospitality, Sacrifice,” where we explore what it means for a marriage to be fruitful, even for those of us not blessed with children. If you’re just joining us, feel free to check out Part 1: Radiating Charity and Part 2: Radiating Hospitality. Somehow that title doesn’t have the same ring as the last two. The word “sacrifice” doesn’t exactly fill us with warm fuzzies, does it? Still, the Catechism points to sacrifice as a way in which all marriages are fruitful. What does this mean? Sacrifice means giving something of ourselves, offering something up, as a gift to God. Sacrifice is an act of love, and an exercise in trust. We know that we will be ok without these things, because God is our strength. Christ gave is own life as a sacrifice on the cross, to redeem us. We in turn take up our crosses daily, uniting our suffering to his. Those things are little, and yet we know there are bigger sacrifices that come with love. If we look with eyes of faith, we see the Glory of God. When we sacrifice and die to ourselves, we open our hearts and become holier people, and that holiness radiates outward. Like St. Therese’s “Little Way”, we are growing in holiness through small, everyday sacrifices. In the first instance, sacrificing your own comfort to tend to the needs of another bears witness to the love and patience of the Father. In the second instance, bearing witness to the truth of sexuality goes so far against the grain that it angers those who can’t bear the light. While many won’t have to courage to say it out loud, more than one will be touched by this witness. And on a much more personal note, couples can attest to the many blessings and graces that flow after marriage as a result of this sacrifice. In the third case, perhaps the witness is more silent. Perhaps not many will know that refusing IVF comes with an immense suffering on your part. But I promise, it is worth it. Graces flow from obedience. In the words of Our Lady of Lourdes, “I cannot promise you happiness in this world, only in the next.” Couples dealing with infertility are on the front lines of the culture wars. Our witness to the dignity of life and the sanctity of marriage matters. It is perhaps a still, small voice- but one that has the power to open eyes and change hearts. We know that all love bears fruit. It is my hope that this series might be a small comfort to my brothers and sisters who are suffering in the throws of infertility. I promise you, your marriage has a purpose. God has a plan. 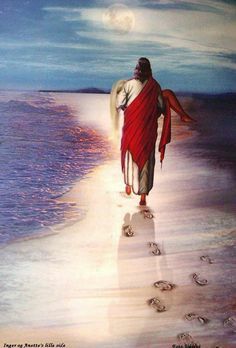 I pray that all who read this will experience the healing touch of Our Lord Jesus Christ, and that whether or not you have children, your marriage will bear much fruit, for his greater glory. It has come to my attention that there are many people, even members of the clergy, who do not know what the Catholic Church teaches about the validity of marriage with regards to infertility. This is a huge deal! How are we supposed to grow awareness and compassion among Catholics when even some of our priests don’t know if our marriages count? Yikes. So, is a marriage suffering infertility still valid? YES. Of course. If perfect fertility were a requirement for marriage, then women past menopause wouldn’t be permitted to marry. Hysterectomies would come with annulment proceedings. Couples found infertile would be sent to the tribunals. Pre-marital fertility testing would be required. All kinds of ridiculous pandemonium would ensue. This sounds crazy because it IS. We know from our good common sense that marriage is about more than fertility, or lack thereof. “Sterility neither prohibits nor nullifies marriage, without prejudice to the prescript of ⇒ can. 1098″ –Canon 1084.3. In other words, the ONLY way that infertility would POSSIBLY become grounds for annulment is if you intentionally LIED about it and hid it from your spouse prior to marriage. Lying and deceit are never cool. Bottom line: If you discovered infertility after marriage, or if knew you were infertile ahead of marriage (like me) and you were perfectly open and honest with your dearly beloved, your marriage is 100% valid, licit, and recognized before God and the Church. “I would like to remind the couples who are experiencing the condition of infertility, that their vocation to marriage is no less because of this. Spouses, for their own baptismal and marriage vocation, are called to cooperate with God in the creation of a new humanity. The vocation to love, in fact, is a vocation to the gift of self and this is a possibility that no organic condition can prevent. There, where science has not yet found an answer, the answer that gives light comes from Christ”.